With this unique 3pc set by Meade Instruments, you can use the binoculars to explore nature, the telescope to observe the mood, and the microscope to view items microscopically. 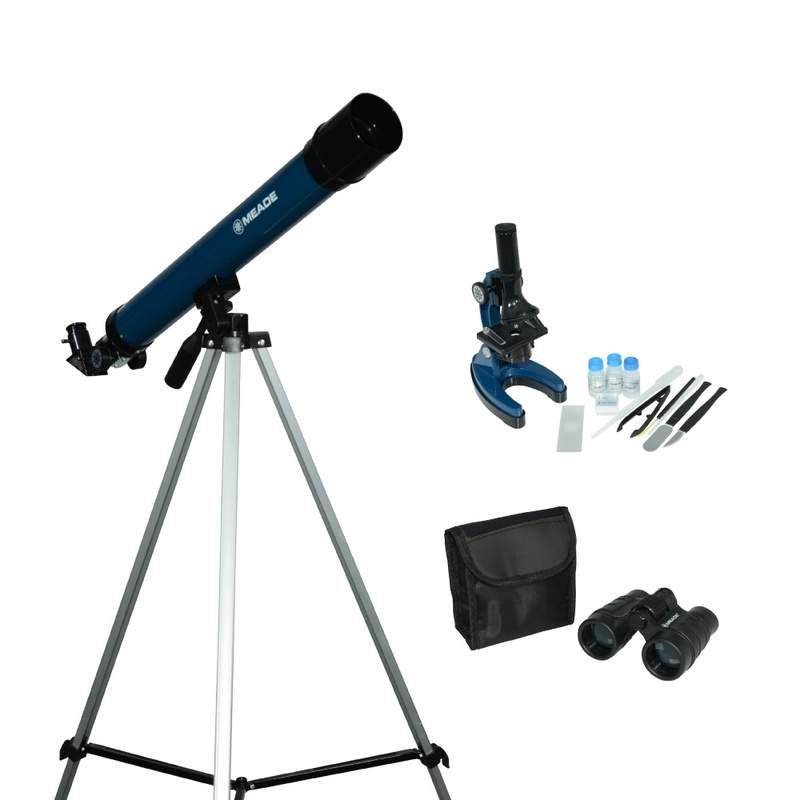 This kit includes a variety of accessories to get you started including a sturdy tripod for the telescope and an extensive accessory kit for the microscope. Now you can view objects from both Earth and Space up close and in amazing detail.